When my task had been finished, the whole was carefully revised, the authorities reconsulted, and every pains taken not only to render the work perfect, but to combine interest and instruction with the truth of History. 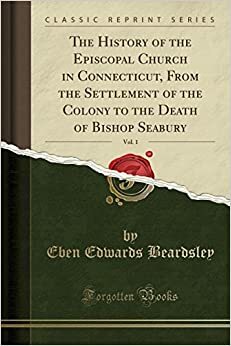 I have therefore given these pages to the press in the humble hepe that they may serve to excite the Churchmen of Connecticut to gratitude for the struggles borne by their forefathers, as well as teach them to prize more highly the rich inherit ance into which they have come. It ought never to be forgotten what a vast debt is due to the men who, from Johnson down to Seabury, carried the Church in this Diocese through troublous and stormy epochs till finally she was planted in peace, and like a vine yard in a very fruitful hill. Grown to greatness under the continual dew of the divine blessing, she still retains, and long may she retain, the distinct impress of her original character.